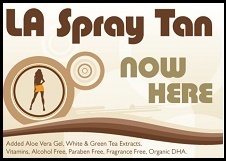 Get pampered at affordable prices. Its all about making time for yourself. Each client is unique and has their own specific requirements. Whether it be a manicure, pedicure, waxing, facial or a glamorous make over for your big day Wendy can tailor make a treatment for every need and occasion. Over 20 years in the beauty industry, and member of the International Federation of Health and Beauty, Wendy has created a warm and friendly atmosphere so you feel both comfortable and secure. What better way to relax, unwind and treat your skin at the same time. All our products are dermatologically tested and designed for sensitive skin. Each facial is tailored to suit you own specific needs. Deep cleanse, tone, exfoliation treatment followed by a purifying mask. A lovely 30 minute moisturising massage concludes the treatment. A complete facial experience including microdermabrasion! A foot and hand massage is carried out whil a custom made mask is applied. This is ultimate luxury. This is a fantastic treatment with the best results achieved after a course of treatments. A full consultation will be carried out prior to your initial treatment. Make up is a very personal way of expressing ones style and personality.Whatever the style or occasion we can make you feel on top of the world. 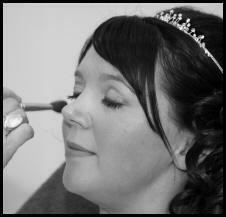 It is important especially for brides to have a trial first so you feel comfortable and happy with the results. Wendy is now a qualified High Definition stylist having trained at the academy in Glasgow. 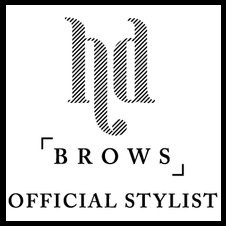 The full Hdbrows experience is now on offer in the salon and we also stock makeup by Hdbrows! The cost of a brow treatment is £25 following a full consultation and a patch test us required prior to treatments! A H Francis are a leading brand of eyelash extension, they are soft and very natural in appearance. 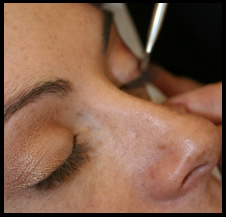 The lashes are semi-permanent and normally require infills after 3 weeks wear. They come in various lengths, thickness and curves so they can be adapted to suit all. Wendy can now offer aromatherapy or deep tissue massage. Both treatments would follow a full consultation . Hot stone treatments are also available which are used to deepen and intensify any massage treatment!. All manicure and pedicure treatments include exfoliation treatment and cuticle work followed by a luxurious massage. 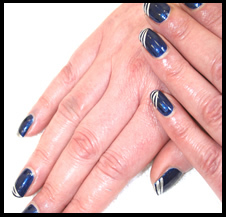 French Polish can be added for an additioanl £1 charge. 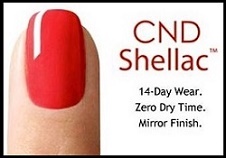 Revolutionary new dip system for creating acrylic overlay to the natural nail. Odour free, quick to remove and fantastic results everytime. All repeat treatments include a free removal service. As the tan must be applied to completely dry skin you must exfoliate and moisturise the previous evening. On the day of the tan remember not to wax, shave, and apply deodorant or perfume. For your salon visit it is best to wear loose, dark clothing. Flip flops are good for the feet. This allows your tan to develop without tight clothing rubbing. For the treatment you can wear your own swim suit, bikini or underwear. We advise you not to shower or bathe for at least 8 hours after the treatment. Moisturise daily after you shower will help your tan to last longer. Pat dry after showering, don't rub. Avoid hot baths and chlorinated pools. A spray tan gives no protection from the sun itself so you will still need to use your protective sun lotions. A sensitivity test is required 24 hours prior to appointment. Please note we can also offer moroccantan for anyone with sensitive skin. 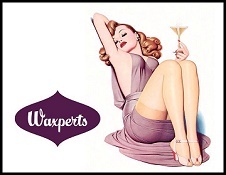 We now use Waxperts superior wax together with beofre and after care to give our clients a swift and comfortable waxing experience. 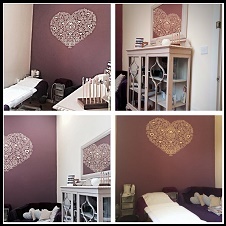 Whatever the occasion, Bride to be, Mum to be or Prom Queen, we have a lovely, cosy treatment room and we can put together packages for any occasion. Please don't hesitate to ask about the packages we can offer. We have vouchers available for any treatment or monetary value. They make great gifts.